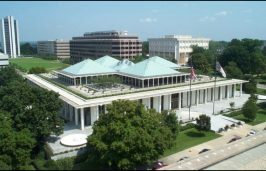 RALEIGH – Another short legislative session opens this week with a number of environmental measures on an evolving to-do list, including another round in the ongoing fight between the legislature and Gov. Roy Cooper regarding funding for the response to GenX contamination in the Cape Fear River. 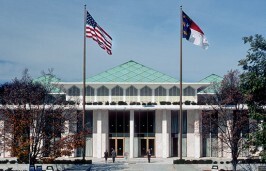 Although the session’s main aim is to take up new judicial redistricting legislation, Cooper’s veto last month of House Bill 56 that includes GenX-related funding for the University of North Carolina Wilmington and the Cape Fear Public Utility Authority, which supplies drinking water to much of the Wilmington area, is drawing ire among legislative proponents ahead of the session. The governor called the bill “cynical legislation” that ignores the need for a larger, more comprehensive state response. The governor has pushed for additional funding for the state Department of Environmental Quality and the Department of Health and Human Services for testing and public outreach. “There are political games being played with these issues and it’s about time for the political games to stop,” Rep. Jimmy Dixon, R-Duplin, fumed Thursday during the first meeting of the House Select Committee on River Quality. Dixon and other members of the committee questioned the need for more funding for DEQ and DHHS. “It’s just amazing to me that some people always think that the first answer is more money or more staffing,” Dixon told DEQ officials. The committee, chaired by Rep. Ted Davis, R-New Hanover, questioned DEQ Assistant Secretary Shelia Holman for more than 90 minutes on the department’s plans, the record of its oversight of both DuPont and its 2015 spinoff Chemours and legal and regulatory enforcement actions in the wake of studies showing GenX and a number of other potential harmful compounds present in the river. Citing the ongoing investigation, Holman and other DEQ officials declined to get into specifics on the legal actions, but acknowledged that the issue involves the level of disclosure by the company. Chemours’ discharge permit required its GenX process to be a closed-loop system, not allowing the compound to be discharged. Holman acknowledged that one focus is a federal consent order apparently allowing the discharge of GenX as a byproduct of a separate manufacturing process. The North Carolina Department of Justice filed on Sept. 7 a civil complaint against Chemours in Bladen County asking for an injunction to prevent the company from discharging two newly identified compounds as well as GenX, which it voluntarily agreed to do shortly after revelations about the levels of the compound in the river. Two days earlier, DEQ filed a 60-day notice of intent to suspend the company’s wastewater discharge permit. During the legislative meeting last week, Holman and other DEQ officials said they could not discuss the specifics of the case, but urged legislators to consider the Justice Department complaint and the 60-day notice letter as part of the same enforcement action. Committee members also questioned Zack Moore, chief of the DHHS Epidemiology Section, about the how DHHS lowered the public health goal for GenX. The department in July significantly lowered the safe level from a preliminary assessment a month earlier, from 70,909 parts per trillion, or ppt, to 140 ppt for vulnerable populations. Rep. Pat McElraft, R-Carteret, said she was concerned that the revised goal could have needlessly frightened people. “I think we need to be more certain before we put these figures out there,” McElraft said. The House committee took no action Thursday, but Davis said it has the option of recommending new legislation. 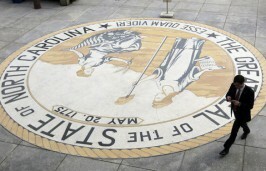 A separate Senate Select Committee on North Carolina River Quality meets at 2 p.m. Tuesday. The Senate committee is also expected to receive briefings on the administration’s response, but no agenda had been published. Although an override of Cooper’s veto of H56 is planned, the vote could prove complicated beyond the GenX debate since the bill includes other controversial environmental provisions, including the repeal of the plastic bag ban for Outer Banks beach communities, looser stormwater controls and an entirely new provision aimed that would strike a law giving counties say over collection of solid waste in their jurisdictions. That provision is opposed by the North Carolina Association of County Commissioners because it would allow waste haulers to cherry pick the most lucrative routes, leaving counties with fewer resources to handle more difficult routes and required recycling programs for tires, electronics and hazardous waste. Legislative leaders have adopted a strategy of dipping in and out of session since the regular session adjourned in July. Unlike last year, when several special sessions were called, this year’s parliamentary term of choice is “rolling adjournments,” which open more options in the types of legislation that can be considered. For environmental legislation, this has meant the use of conference reports to move the handful of omnibus regulatory bills that were left on the table at the end of the session this summer. Another conference report, Senate Bill 162, could be included in legislative action this week. The bill was reviewed Thursday by the House Select Committee on Administrative Procedure. It includes a controversial provision that sets cost limits on rules, limiting rules that have a collective cost of $10 million during a five-year span and prohibiting rules that have a $100 million cost over five years. Also on the list of bills that could be considered during this week’s session are four measures Cooper vetoed during the summer. That includes another major environmental omnibus bill and a measure that would allow the aerosolizing leachate from landfills as an acceptable mitigation method. Cooper vetoed the landfill bill, saying science, not the legislature, should determine the right methods. The omnibus legislation, Senate Bill 16, passed during the brief early August session. It includes a wide range of non-controversial provisions, but Cooper objected to sections that ease some coastal stormwater rules and make it more difficult for counties to close landfills before they reach full capacity. 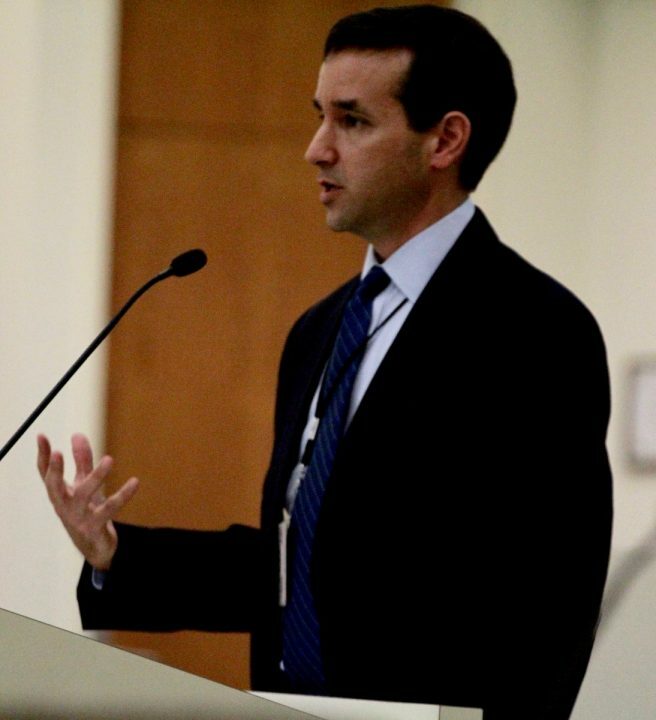 Kirk Ross is a longtime North Carolina journalist based in the Triangle. In addition to Coastal Review Online, he covers the legislature and state government for Carolina Public Press and The Washington Post. He can be reached at kirkrossreport@gmail.com.